Preheat oven to 375 degrees. Wash spinach; dry roast mushrooms until fragrant but not burnt and set these aside. Grease 8-inch pie plate (glass or metal will work) with hazelnut oil. 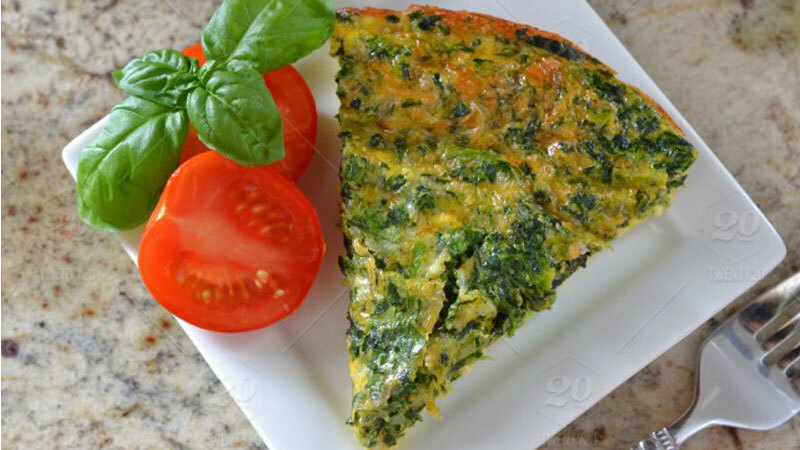 Combine yogurt, onion, garlic, and eggs in bowl and add spinach, mushrooms, cheese and salt; mix and pour into pie plate. Bake 40 minutes.